We're taking a bit of a break from our Best of 2004 series of shows to present our first program of new music in 2005. And we're starting the new year pretty well the same way that we finished off the past season. Fantastic music and nothing but, from beginning to end. I've included past favourites from Gota, Steve Allee, Richard Elliot, Ray Garand, Special EFX, Beatifik, Lee Ritenour, and Paul Taylor to name a few. There are fantastic never-before-played-on-our-show tunes from Marion Meadows and Player's Club as well as from Queen Latifah and The Dana Owens Album. Throw in the usual assortment of current faves led by Brian Culbertson, Steve Barakatt, and The Jazzmasters; a fabulous FT segment and a super show case feature and it all makes for a terrific start to 2005. At this rate, who knows? This may be the best year yet! 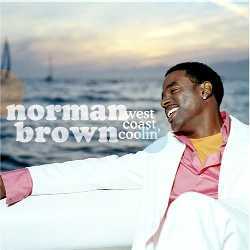 West Coast Coolin' - Norman Brown: Norman was only 8 when his family relocated to Kansas City and he first became interested in guitar. One of his earliest idols was Jimi Hendrix. Understandably, Brown went thru the garage rock band stage. However, this changed when Norman's father introduced him to the music of Wes Montgomery. From then on Brown channeled his talents toward jazz. His increasing interest in that style of playing led him to Los Angeles in the mid-'80s where he enrolled at the Musician's Institute in Hollywood. After graduating, he taught guitar for a while and then shortly thereafter he signed with Motown's MoJazz label. He released 3 albums on Motown including After the Storm, his sophomore project. Suddenly, critics and listeners alike were comparing the young guitarist to jazz greats such as Benson & Montgomery himself. Now several cds & a Grammy award later, Brown continues to impress with West Coast Coolin', his latest release and the subject of today's feature. The album shows an evolution in Brown's music as it moves deeper into Rhythm & Blues, an area that Norman has been exploring for some time in live performances and on previous releases. Nevertheless his playing remains melodic & inspired and, in a word, is always impeccable. We begin to showcase West Coast Coolin' with Remember the Time, the album's closing track. Missin' You opens hour 2 and Up 'n' At 'Em closes the feature and the show. Bailar Conmigo - Steve Glotzer: A veteran performer with over 25 years in music, Glotzer has shared the stage with a wide range of artists, all the way from Dr. John and Larry Coryell to Richard Elliot. Over that period, his distinctive guitar has been widely featured in clubs, festivals and in movies and on television. Life Imitates Art, released in the year 2000, was his first opportunity to record as a leader and presented Steve's unique blend of styles and influences from various genres. 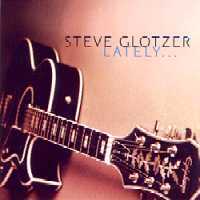 His follow up project is titled Lately and offers Steve's continuing exploration of jazz, blues, folk, & rock. From that release we have the lightly spiced and tasty Latin flavoured Bailar Conmigo. Every Little Star - Nicolas Bearde: Born in Nashville and now a longtime San Francisco resident, Bearde's multifaceted career includes work as a stage and film actor and as a commercial voice-over artist. In addition, he is a founding member of Bobby McFerrin's a cappella group, Voicestra. Nicolas continues to perform with that unit as well as to tour, record, and/or perform with notables such as Michael Bolton & The Manhattan Transfer. Crossing the Line was Bearde's debut release in 1998, and introduced his vocal talents as a solo performer. Packed with romantic ballads that have been described as "fresh and unpretentious", Nicolas's style & rich tone have drawn favourable comparisons to Will Downing. 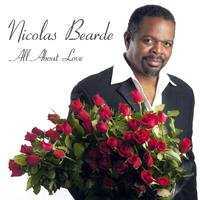 All About Love is Bearde's soon to be released follow up project. This sophomore effort sees the teaming of Bearde's vocal gifts with the guitar mastery & production expertise of Chris Camozzi. Camozzi produced half of the CD's twelve tracks. The pairing works very well indeed, resulting in several exceptional tracks and thereby provided me with the dilemma of which one to choose for this show. On the album, Bearde taps into the music that has influenced him as an artist as he covers some of his favourite singers. However, it's one of Nicolas's own original compositions that we've selected on this occasion and one that was produced by the aforementioned Mr. Camozzi. It's smooth & romantic and was no doubt inspired by the rainy days (and rainy nights) that the West Coast is famous for. From All About Love we have Every Little Star! 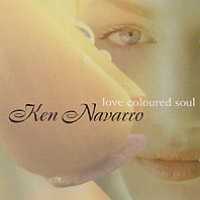 You Are Everything - Ken Navarro: Since the release of his solo debut in 1990, Navarro has not only been one of the most prolific artists in Smooth Jazz, he's also been one of the hardest working. Over that period, Ken has crafted a string of superb albums that rate high on melody, are uplifting and are always delivered with the utmost taste. Love Coloured Soul is his latest project and the most recent addition to this collection. After hearing the cd, all I could say was "Bravo Mr. Navarro!" because he's done it again! Now back on his own Positive Music label after recording a pair of projects on Shanachie Records, this record undoubtedly represents some of Navarro's finest work to date...from melodic and moving to soft and soothing. In the weeks ahead, I'll be going to this one frequently as one great track is followed by yet another. To begin our exploration of Love Coloured Soul, we rather fittingly present You Are Everything, its opening track. Once you hear this tune and others, I'm certain that you too will be seduced by Navarro's warm & inviting style and his exceptional tone, just the way that I was. Speak Low - Pascale Lavoie: Pascale was only 12 when she debuted as an artist and discovered her love of singing and her passion for jazz. She attended university both in Montreal and in France and formed a jazz trio that allowed her to tour the world. In 2001, shortly after her return to Quebec, Pascale released her debut album. The project presented a fascinating blend of styles from swing to bossa nova with a few originals thrown in. This led to several appearances including the Montreal Jazz Festival and in turn to the release of Moods, her sophomore cd. From that effort the sultry and expressive Speak Low is our choice ! Fly Away With Me - Pamela Williams: The first lady of sax is back! Pamela has always enjoyed exhibiting the many diverse elements of her repertoire from Latin and jazz, to R&B, hip-hop and house. On The Perfect Love, her previous release (first on Shanachie Records and fourth overall) Ms Williams definitely elevated her game. In the process, she presented what may well have been her most accomplished work to that point in her career. That is until now. The terrific success of that album, prompted a follow up project and I for one couldn't be more excited! From her forthcoming Sweet Saxations cd we're pleased to present Fly Away With Me, the advance single. If this track is any indication of what lies in store on the rest of the cd, then we are indeed in for a quite a treat from Pamela and this new release! So much great music but unfortunately, so little time to play it in!! On this extended installment, we have 20-plus great tracks: some new ones, a couple of current favourites, and a few that we haven't played for some time. Featured are George Benson, Greg Adams, Fattburger, Alexander Zonjic, & Michael Lington. There's music as well from SOS, Eric Darius, & David Garfield while new to the program are Madeleine Peyroux, Lalah Hathaway, and the chilled sounds of Adani & Wolf. 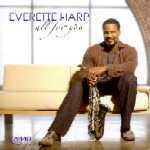 However, there's more with Everette Harp as the spotlight artist on T&N on this edition of After Hours presented in two segments. Therefore, once you're done listening to part 1 please be sure to click on the second paw to hear part 2. 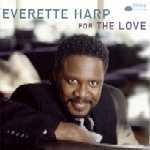 Everette Harp: As long as he can remember, Everette Harp has been playing music. He started piano at two and then picked up the sax at the four. Everette was raised the youngest of eight children in Houston Texas where his dad was a minister. Understandably, gospel music was one of Harp's earliest influences; that and the jazz greats that he discovered while in high school. After graduating from North Texas State with a music major, Everette worked for a short time as an accountant before choosing to pursue a career in music. He played in a few local bands and picked up a bit of studio jingle work before moving to Los Angeles in 1988. There his career as a sideman took off. He toured briefly with Teena Marie, and then internationally with Anita Baker for several years. 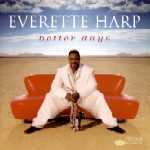 In 1992, Harp released his self-titled solo debut. That album's popularity led to further gigs such as the Montreux Jazz Festival; and weekly appearances with The Posse on The Arsenio Hall Show. He continued to play & tour with a lengthy list of notables but cut back on his side gigs over the past few years to focus more on his solo career. All For You, his latest & sixth overall, is Harp's first in about 4 years. On this occasion though, we're pleased to not only present music from that album but to also briefly chronicle the Harp's solo career. 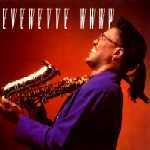 As we spotlight Everette Harp on Then & Now, we're featuring When I Think of You, For You Always, I Just Can't let Go, and I Remember When from the above albums respectively!